I love this jewelry design. What a cute way to remember a special date! Sample treats, drink cider and learn how to compost in your apartment on Apples on Orchard Day. Get yourself some cool new art. I'd honestly hang a calendar in every corner of my life. This month's lady mags get graded. Which ones will you read? P.S. Are you seeing Where the Wild Things Are? Or maybe New York, I Love You? You always find the coolest websites to show on your blog. i am so excited for new york, i love you. i'm sure you are too. 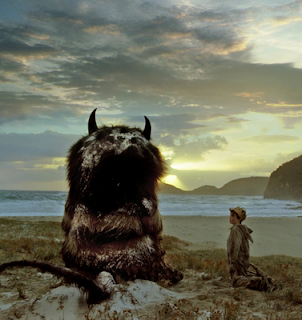 I'm probably going to wait for video, but I am very excited to see Where the Wild Things Are. I loved the book, and the movie looks not only adorable, but beautiful as well. Can't wait! Very cute necklaces. I link the art link too. Super cute necklace..and can't wait for our munchkin to see Where the Wild Things Are...we just got him the book and he's a touch little for the movies yet. Love that necklace! What a great idea! New York, I Love You is definitely on my list. My favorite mag isn't on the list. Cosmopolitan only got a "D". Rough graders. I hope you are having a nice weekend despite the ornery weather.